Sulfur, useful as it is, is produced in such vast quantities as a byproduct of energy production that it is of little value. 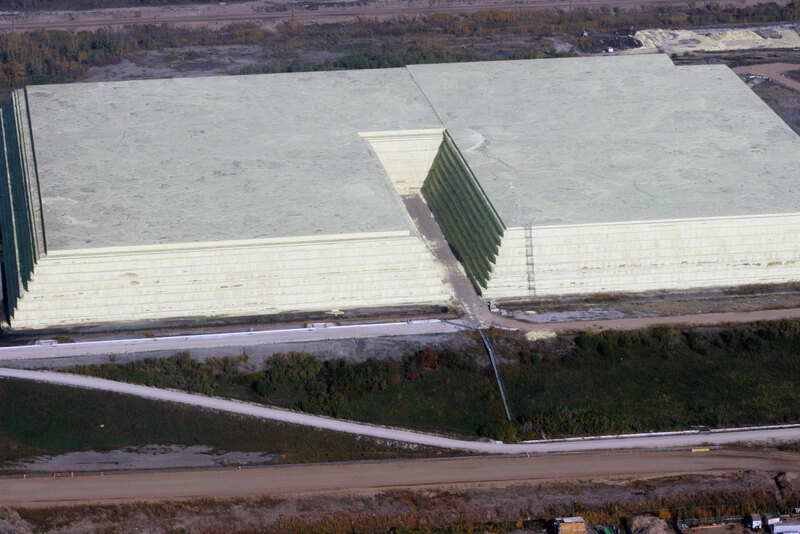 There's so much of it that Canadian oil company Syncrude's storage site is slowly turning into an enormous pyramid of sulfur. Google Maps reveals that there are in fact three of them, a Gizeh of The North! Here's a photo by Jason Woodhead, released under the Creative Commons. If they keep going, it'll eventually be far larger than the Great Pyramid in Egypt.